No other religious book, or any other book for that matter, can claim all these things. We cannot love someone we know nothing about. That is why God tells us about Himself in the Bible. The Bible is like a map that helps and guides us through life. The Bible tells us the history and future of man. God wants us to know where we came from and to where we are going. The Bible is like a sign pointing us in the right direction, towards Jesus. It tells us that we are to turn from our wrong ways (sin) and follow Christ. The Bible was given so we can learn about how and why He died for our sins on the cross. That we can have eternal life through Him. Learning the message that God has for us begins with reading the Bible. A lot of people never get to that point. Many simply skim over the text. Others read books about the Bible or devotional material which are widely based on it, but they rarely read the Bible itself. We’re not saying Christian books and magazines can’t be beneficial, but there is no substitute for reading the Scriptures. Some complain it’s hard to read and understand. 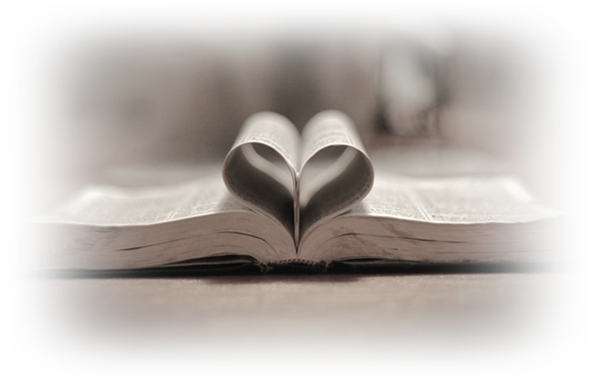 God has given us the Holy Spirit to help us read, absorb, grasp, and live by the Bible. But first we must commit to it. Pray before you study the Bible. Pray while you are studying the Bible. Pray after you have studied the Bible. We’ve added a few links for those searching for the ‘Word of God’. And for those who would like to develop a deeper understanding of His word and what it means for their lives. Whether you’re just getting started, or have been studying the Scriptures for many years, making it a part of your daily life will bless you greatly and help you grow in faith and understanding. Reading the Bible will help you develop a personal relationship with the One who created you and knew you before you were ever born. So what are you waiting for? The Lord is waiting at the door! – featuring topical, Greek and Hebrew study tools, plus concordances, commentaries, dictionaries, sermons and devotionals. – Bible study software with Greek and Hebrew word tools. – A fast and effective way to study the Bible. Sophisticated features that are simple to use. More capabilities than you would expect for free! – Offering Bible recordings in 866 languages. From mobile apps and MP3s to podcasts and Proclaimers, with free access to God’s Word in every translated language. What is known about the present whereabouts and conditions of Pastors Saeed and Bae, please? Saeed is in the prison, and for now his parents are allowed to visit him. Kenneth is in the camp and his family is waiting to hear of his health condition. Thank you for caring about our brothers in Christ! Please pray. Good article. Another way to get into the Bible is to listen to it. Recently I was challenged to listen to the Bible using a YouTube app. By listening to the Bible for about an hour a day one can complete the entire Bible in about 3 months. I have been doing this for about 8 weeks. I am already halfway through the Old Testament. Lord willing I look forward to saying that I have listened to the whole Bible. Something I have never done in my lifetime. So again for those who find reading the Bible a challenge. Or as in my case a strain on the eyes. I am legally blind. Listening to the Bible is a great way to get through the whole Bible. Or at least through the New Testament. One can find many good apps through YouVersion and Bible Gateway. I especially enjoy The Visual Bible word-for-word DVDs of Matthew, John and Acts. FaithComesByHearing.com (also known as Bible.is) is another great resource for audio and other bibles with over 1600 translations in more than 800 languages including for the deaf. English has over 20 audio formats from which to choose. Their BibleSticks are truly God-sent. Praises to our God for making His Word known throughout the world in so many ways! Amen! Thank you for sharing adding these great resources! 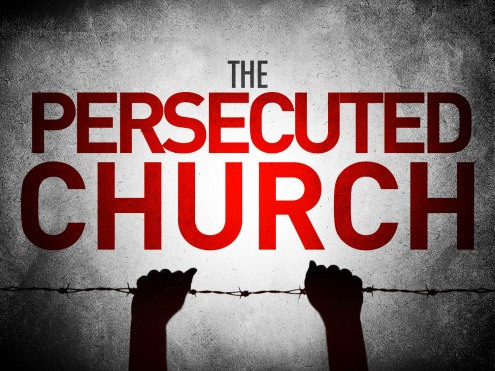 Indeed the Bible is that which sustains are persecuted brothers and sisters. Let them be our example. 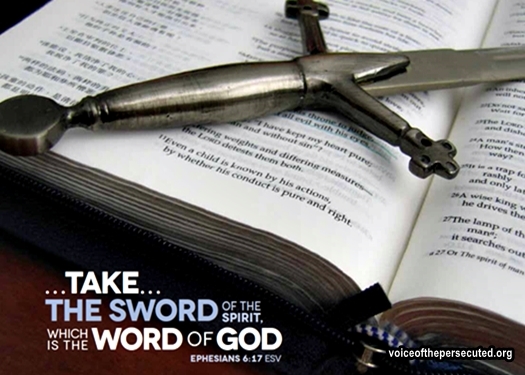 For in restricted nations they will risk their lives to own a copy of His precious word. I have seen videos where precious older Saints in their eighties who have never owned a copy of the Bible or a New Testament, will weep with tears of joy because they have come into possession of the Book of Life. Do we value the Bible as such? William Tyndale, one of the early translators of the English Bible, died at the stake so that we might have a copy of the scriptures in our own language. Do we honor this man by taking that precious word and putting it into our hearts? More and more in this final hour of redemptive history, God is looking for people who know His Story. People who are of the Book. Will we be such??? Let us pray the prayer of the psalmist when he said, deal bountifully with your servant that I may live and keep your word. That prayer comes out of Psalm 119. Psalm 119 is the longest psalm and gives 176 reasons of why we should be in the word. There will come a day when the Bible will be declared illegal in this nation. Are we going to be lamenting and wailing saying oh God if I had only known. At present we have an opportunity to immerse ourselves in His blessed word. As we approach this new year, let us resolve to make His Word the ultimate priority in our lives. Because in doing so we are making Him who is the Word, the ultimate priority in our life. As we do this indeed we are identifying with our persecuted brothers and sisters who make Jesus their ultimate priority. Jesus is the Word. electronic scripture is wonderful – but get a physical copy – because the day may come when that is the only copy available.